March 12th & 13th- Class B and Class Advance are back in session! Wanna shimmy and shake your way to the stage with confidence and gusto? Come learn from an international award winning burlesque artist. You’ll be happy you did! 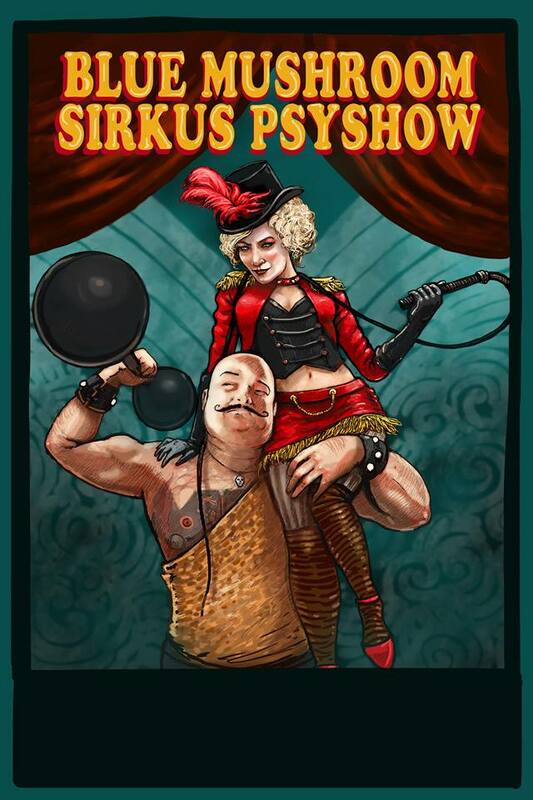 March 22nd to 24th- The Blue Mushroom Sirkus Psyshow!!!! Don’t miss the chance to see Canada’s ultimate circus sideshow. This will be creepy and freaky! March 22nd- Plaza Theatre, Montreal,QC. March 23rd- The Grenada Theatre, Sherbrooke, QC. March 24th- L’Hôtel 54, St-Jean-Sur-Richelieu, QC.